Years after Subway & KFC opened up in Bangalore, America's leading Mexican inspired quick service restaurant chain Taco Bell has first opened up in Mantri Square Mall in Bangalore. Mantri Square is said to be the largest mall in India located at Malleshwaram with 1.3 million sq. ft. home to over 250 outlets, a six-screen multiplex operated by Inox Cinemas, five separate Reliance based outlets, a bowling alley by Amoeba and has a parking area sufficient for 2000 cars. After waiting for our token to get our order we sat in the lower level seating area. 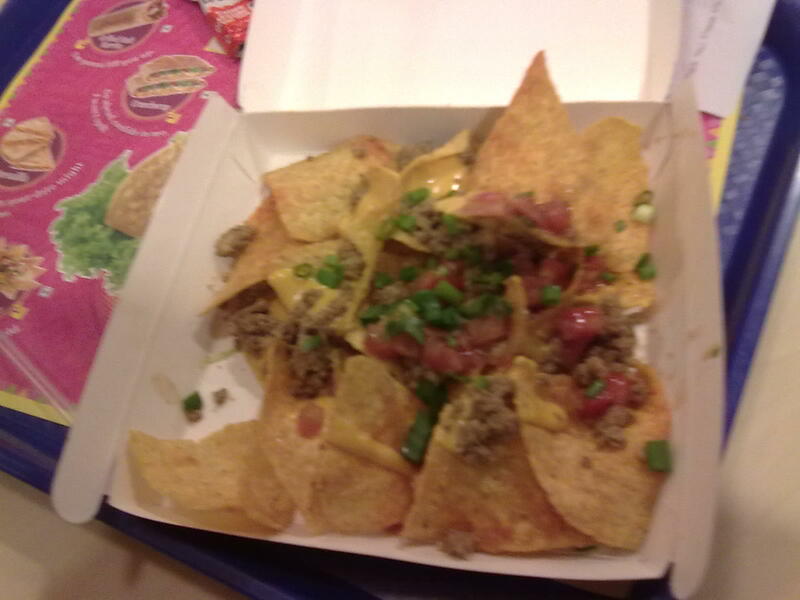 Topped Nachos were great, cheesy enough with enough minced meat toppings. Volcano Taco is crunchy with really meager amounts of chicken an more of the lettuce but good for a small snack. Disappointment was greeted with the Grilled Stuft Burrito since it was too tangy and I had to forcibly wash it down with the Pepsi. Quesadilla was alright and enjoyable. The accompanying sauce packets are complimentary and come in varying 'hotness'. The Value for Money part is that of the Freefill. Concept is that you pay for one serving of Pepsi and thereafter can voluntarily get unlimited amounts of refills of Pepsi or any other soft drink or water until you preserve your cup. Visit once, its a good experience and not too heavy on the pocket. haha! 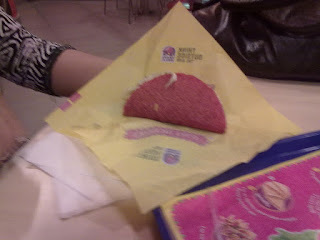 I'm fasting and this one made me crave mexicana food! @Roshan yup, can't wait for them to start in mumbai!